Due to failing health from old age, Genghis Khan did not live to fulfill his dreams ofconquering the world. Those dreams however lived on in the hearts of his heirs, one ofwhom was Hulagu Khan.Like his grandfather, Hulagu Khan was a genius in military tactics and a brave Monggolhorse warrior. When he took up command, the Monggols already had control of CentralAsia with plans to head west. 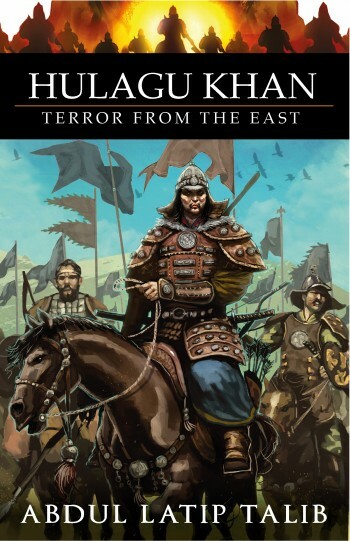 However, one thing stood in their way of expanding theirMongol Empire.It was the flourishing Abbasiyah Empire in West Asia.Hulagu Khan&rsquo;s sharp military tactics, combined with corruption amongst the rulers of theAbbasiyah Empire, finally saw the fall Baghdad.Conquered, Baghdad was destroyed. Its land turned red, swimming in the the blood of thescientists and philosophers killed. Its waters ran black with ink from the libraries of booksthrown into the Tigris river. It was the end of the Abbassid dynasty.Though victorious, the Mongol Empire&rsquo;s own end was near. Soon after the conquest ofAleppo and Damascus, Hulagu Khan&rsquo;s advance to expand his empire in Arabia washalted after his defeat to courageous Mamluk army in Ain Jalut.